What are Twitter impressions, why are they important, & how can you make the most of yours? Twitter impressions – you’ve heard of them, you know basically what they are, but you’re not quite sure of why they’re important, or even how they differ from reach and engagement. Speaking of, where can you even access your Twitter impressions? How can you gauge whether you’re sitting pretty or have some serious work to do? It’s a lot simpler than it all sounds and, by the time you get to the end of this post, you’ll not only know where to find your Twitter impressions, but how to interpret them, how to double (or triple!) them in a single tweet, and then how to leverage those impressions to grow your Twitter follower count. In the simplest terms, your Twitter impressions show how many total times people have seen your tweet. In other words, 500 impressions = your tweet has been seen 500 times. Notably, your Twitter impressions metric will not reflect how many eyes have viewed your tweet via third-party platforms (ex. Hootsuite or Sprout Social), or how many people have seen your tweet embedded into a website. But – of course, there’s a but! – that doesn’t mean that 500 people have seen your tweet. What’s the difference between Twitter impressions and reach? Here’s the deal: Twitter impressions show how many times your tweet has been seen (= Twitter impressions), including timeline, search and conversation impressions, but not including how many people who have seen it (= reach), because one person can see your tweet several times. So, if Twitter User A sees your tweet 5 times and Twitter User B sees your tweet 3 times, then your Twitter reach = 2 and your Twitter impressions = 8. Twitter does not track tweet reach. (It does track engagement. We’ll get there in a moment.) And remember, these metrics do not take into account your tweet’s visibility in third-party applications or embedded on websites. 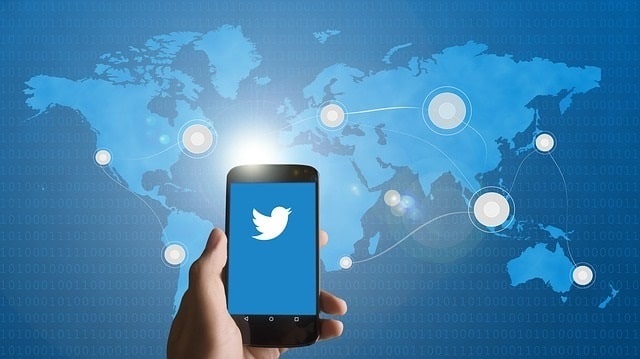 By now, you’re probably itching to uncover your Twitter impression metrics. 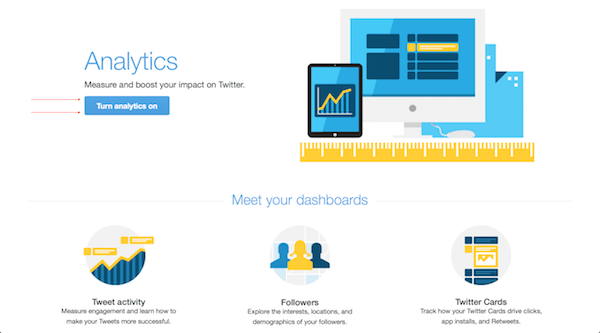 The bad news: You must first enable Twitter analytics. If you haven’t done that yet, you won’t be able to see past metrics. Once your metrics are enabled, you’ll start to see various available analytics – including Twitter impressions. You can view impressions per tweet, as well as your collective impressions (across all tweets) for a given time period (ex. the past month). Why are Twitter impressions important? Twitter impressions are an important metric because they give you an idea of how effective your tweets are. What do we mean? Think about it this way: If you have 500 followers and all 500 see your tweet (not going to happen, but we can dream! ), then you have 500 tweet impressions. But then, in all your Twitter guru-ness, you reply to your own tweet with another tweet, so your 500 followers see not only your reply but also the original tweet again. That original tweet has just jumped from 500 impressions to 1,000 impressions. And then, let’s say a few of your followers retweet your tweet to their followers, netting you another 300 impressions. And then, people start a conversation about your tweet, boosting your impressions by another 200. You’re now at about 1,500 impressions on one tweet, with just 500 followers. So, yes, your own behavior has a very direct and measurable effect on your Twitter impressions. But, while impression metrics can be manipulated to some extent, they also show you how many times Twitter is serving your tweet to followers and searchers. Your impressions count also shines a bright light on what behavior has the greatest effect on your tweet impressions. And that is absolute metrics gold. Once you uncover what works for you and your followers (such as using trending hashtags), keep doing that! Boost those impressions. But back to tweet engagement. The way to boost engagement begins with doubling, tripling, and quadrupling your impressions. Because, the more times your tweets are seen, the better your statistical chances of more conversations, retweets, search results, and other engagement that will serve your tweets to more people. More people, who will engage with your tweets – and, hopefully, with you. More followers, here you come! Speaking of more followers, now that you’re clear on Twitter impressions and why they’re so important, you’re already brainstorming how to double, triple and more your impressions. So, while you’re in the Twitter headspace, why not also promote your brand’s account? The ShareThis Twitter follow button is a perfect tool to boost Twitter followers and, as a result, increase your impressions. What’s more, the tool is also mobile optimized, lightweight, and easy to configure and install. Check it out!